The Section of Rheumatology is a dynamic and growing enterprise of approximately forty faculty, staff, and fellows who are committed to providing outstanding state-of-the-art patient care, understanding the pathogenesis of autoimmune diseases, and training the next generation of physicians and scientists. Through our disease-focused clinics we offer an inter-disciplinarily approach to patient care that provides access to the most current therapies and to the resources of the University. In parallel with our clinical activities, we have well-developed basic science research programs where our primary focus is on understanding the development and regulation of lymphocytes which is fundamental to the pathogenesis of most autoimmune diseases. These are exciting times in Rheumatology. Remarkable advances in our knowledge of basic immunology are beginning to translate into new and better treatments for those suffering from autoimmune and metabolic diseases. The Section is well poised to both take advantage and contribute to these revolutions in the understanding and treatment of rheumatic diseases. The Section of Rheumatology was formed in 1967 when the Divisions of Metabolism and Rheumatology were combined into one Section with two Section Chiefs: Drs. Leif Sorensen and Dan McCarty. During this time, the faculty including Attalah Kappas, M.D. and Rudi Schmid, M.D. made important contributions to the understanding of several metabolic diseases. Dr. Sorensen then went on to be the Vice Chair of the Department of Medicine for 20 years and the Chair in 1997. In 1980, Dr. Michael Becker became the Section Chief and served until 2000. The current Section Chief is Marcus Clark, M.D. Over the almost fifty years of the Section’s existence, the faculty has made substantial contributions to both basic science and to understanding the pathogenesis of several important rheumatic diseases. Our faculty, fellow and graduate students are actively engaged in investigations including the development of B and T cells, peripheral mechanisms of T cell regulation and cognate B:T lymphocyte interactions. The group is well funded with over $6M dollars in annual federal and private funding. 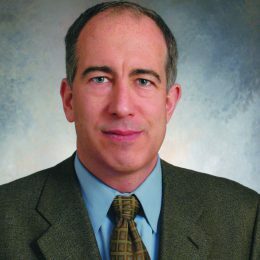 Leif Sorensen, M.D. performed pioneering work on the metabolism of uric acid in humans including the role of renal excretion. Dan Mc Carty, M.D., a former President of the ARA, he demonstrated that crystal deposition in joints was responsible for the clinical syndromes associated with gout and pseudogout. Attallah Kappas, M.D, internationally recognized for his pioneering work in porphyria. Rudi Schmid, M.D., discovered metabolic basis of McArdle’s disease. Michael Becker, M.D., has made important contributions to our understanding of human PRPP Sythetase overactivity and its role in gout. Marcus Clark, M.D., elucidated many of the mechanisms by which the B cell antigen receptor initiates signals. He has also demonstrated how these signals mediate important B cell functions such as positive selection and the presentation of antigens to T cells. Marisa Alegre, M.D. characterized how CTLA-4 and other molecules regulate peripheral T cells. She has also demonstrated the in vivo importance of these mechanisms in controlling transplant rejection. Ioannis Aifantis, M.D., has made several fundamental observations on how the pre-TCR mediates T cell development. He has also made contributions to our understanding of how progenitor cells commit to the T cell lineage. In addition to investigators working directly in the Section, investigators in the Knapp Center for Lupus Research have also made substantial contributions to our understanding of autoimmunity. Martin Weigert, Ph.D, the current director of the Knapp Center, was the first to describe immunoglobulin somatic hypermutation and was the first to demonstrate that this process was necessary for generating the autoantibodies that characterize SLE. Craig Thompson, M.D. ,the previous director of the Knapp Center,was the first to characterize the important anti-apoptic protein Bclx. He also demonstrated the importance of mitochondria in programmed cell death. Our faculty is dedicated to providing outstanding training for those individuals interested in the treatment or cause of rheumatic diseases. We offer a clinical fellowship program in rheumatology for two years with an optional third year of additional training in research. Fellows obtain an outstanding exposure to patients with rheumatic diseases in both the clinics and on the inpatient consult service. These activities are complemented by an extensive schedule of courses, one-on-one teaching sessions, and journal clubs. For those interested in basic science, graduate and post-graduate training is available. Many of our basic science faculty are members of the Committee on Immunology (COI), an internationally recognized cadre of immunologists. Ph.D. degrees can also be sought in conjunction with the M.D./Ph.D. joint-degree offered through the medical school. The COI offers a full complement of graduate courses as well as outstanding lecture series and journal clubs. These courses and lectures are a resource available to anyone interested in immunology. The Section of Rheumatology provides all of the adult clinical rheumatology expertise and services to The University of Chicago Medicine. Specialists here treat late onset rheumatoid arthritis, systemic lupus erythematosus, gout, and scleroderma.